The Epson TM - M30 printer has an optional Bluetooth wireless mode that can be used with Rezku POS. This is great for tableside service or just reducing clutter from wires. It’s also easy to set up! ● From the iPad’s home screen, click on Settings. 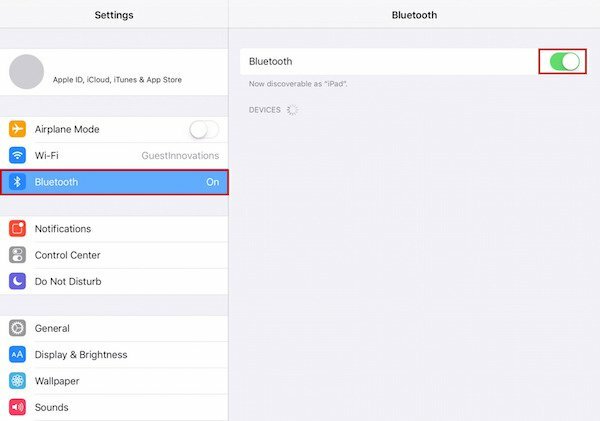 ● In settings, tap on Bluetooth on the left. Make sure that Bluetooth is turned On and shows a green indicator. 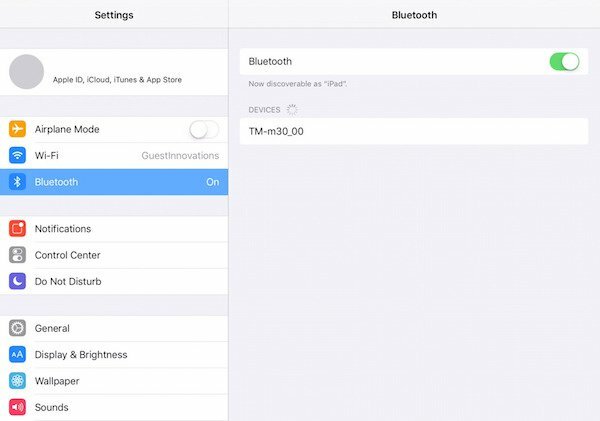 The iPad will search for wireless Bluetooth devices in range. When the TM-M30 is not connected to another device, it will show up automatically in Bluetooth Devices. 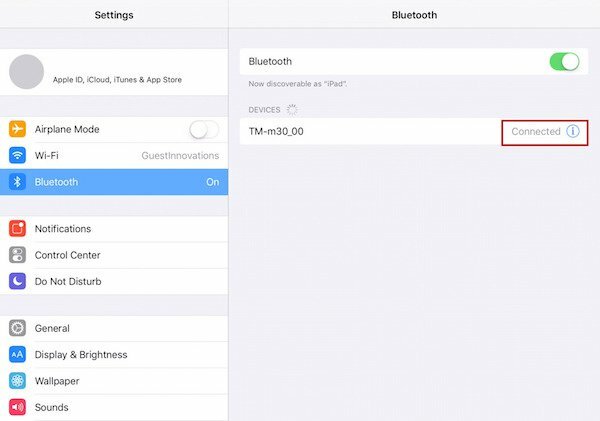 If the TM-M30 is already paired to another device, it will not show up in the Bluetooth search. Follow the steps to clear the network settings in the printer hardware documentation. To connect, tap it in the device list. NOTE: Your printer may have different numbers following the model name. After a moment the printer will be connected. To exit iPad Settings, press the HOME button on the iPad to return to the Home screen. ● Tap the icon to open the Rezku POS app. Follow the steps for setting up a Cash Drawer Printer and select your TM-M30 Bluetooth printer. This completes wireless Bluetooth printer configuration.